Hometown Poker Hero Standard Edition In Hometown Poker Hero, you need to help Angela and Jimmy save the town of Shipsburgh. Practice your poker face and beat the Grimaldi Syndicate now! 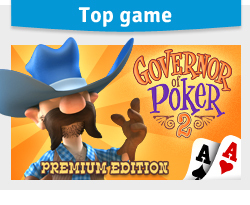 Hometown Poker Hero Premium Edition In Hometown Poker Hero, you need to help Angela and Jimmy save the town of Shipsburgh. Practice your poker face and beat the Grimaldi Syndicate now!